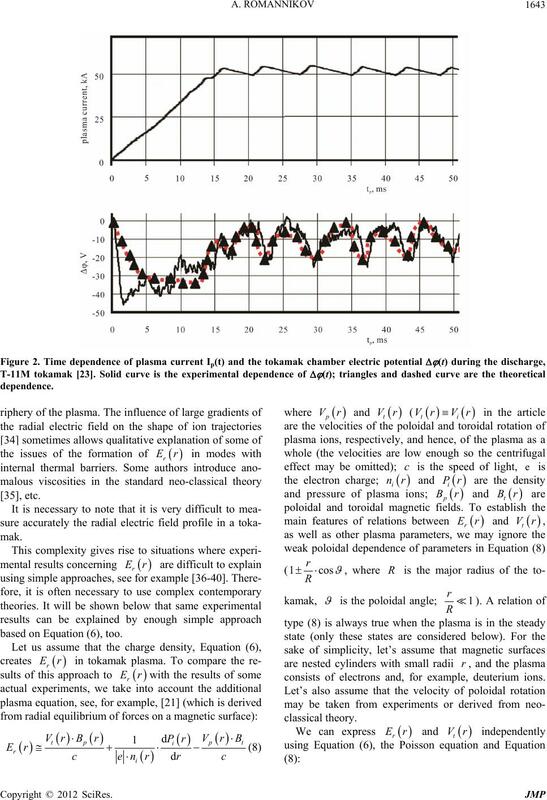 tion between physical consequences of this relativistic paradox and charge density ρ of tokamak plasma is shown. 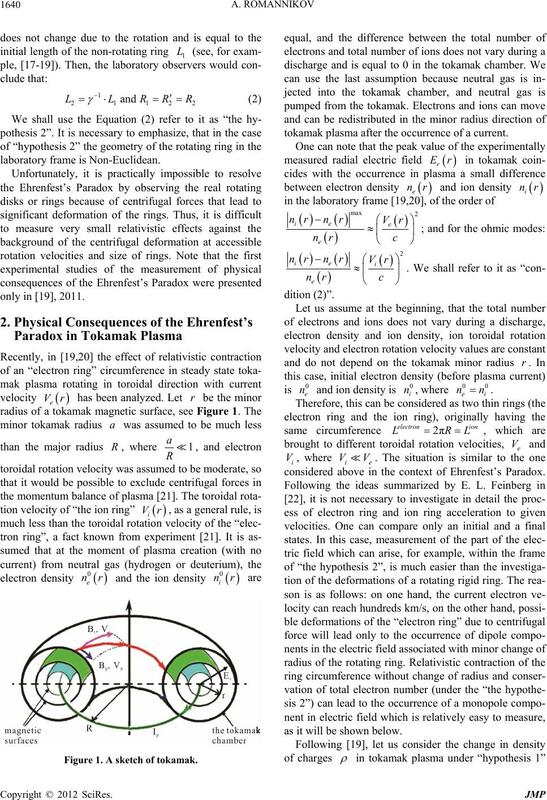 Plasma experiments which could resolve the Ehrenfest’s Paradox are presented. surements taking into account relativistic effects? the results of circumference measurements. highly unlikely see, for example . cussion, we will consider this hypothesis in more detail. linear velocity at the radius ). Figure 1. A sketch of tokamak. tokamak plasma after the occurrence of a current. is and ion density is , where . considered above in the context of Ehrenfest’s Paradox. as it will be shown below. tributed in a thin, hollow ring. within the frame of different approaches, see . lic tokamak chamber C, and relates to chamber RC time. ~8 ms by a linear function. ratory frame with required accuracy. based on Equation (6), too. consists of electrons and, for example, deuterium ions. to Equations (9) and (10) in . mental toroidal rotation plasma velocity profile. culation in a typical ohmic discharge in TCV tokamak .  is the effective radius of the tokamak magnetic surface. but it is the trivial consequence of Equation (11). for real ion pressure profiles [20,23]. confirmed by experimental data . in experiments; see, for example, . Specific examples are presented in the article. within the framework of “hypothesis 2”. tron (ion) rings in the laboratory should be. Physics, Vol. 32, No. 10, 2002, pp. 1525-1556.
,” Nature, Vol. 106, No. Cambridge University Press, Cambridge, 1922. 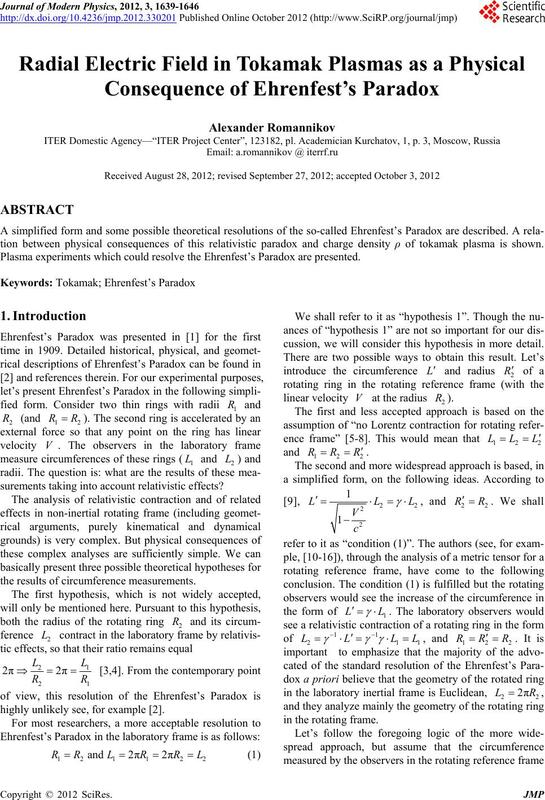 Reference Frames,” Foundation of Physics Letters, Vol. 11, No. 5, 1998, pp. 405-443. Physics, Vol. 67, No. 2, 1999, pp. 158-159.
, Vol. 12, No. 1, 1999, pp. 17-28. Vol. 34, No. 3, 1977, pp. 281-299. Vol. 43, No. 10, 1975, pp. 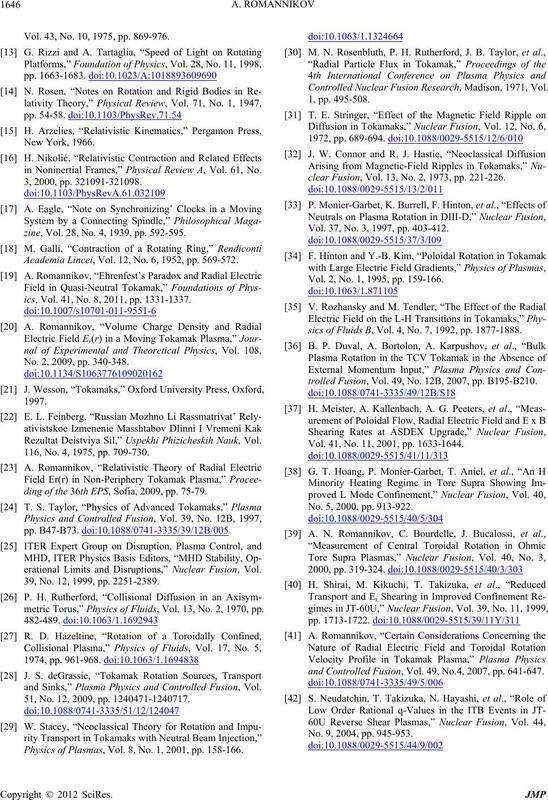 869-976.
in Noninertial Frames,” Physical Review A, Vol. 61, No. zine, Vol. 28, No. 4, 1939, pp. 592-595.
ics, Vol. 41, No. 8, 2011, pp. 1331-1337. No. 2, 2009, pp. 340-348. Rezultat Deistviya Sil,” Uspekhi Phizicheskih Nauk, Vol. 116, No. 4, 1975, pp. 709-730.
ding of the 36th EPS, Sofia, 2009, pp. 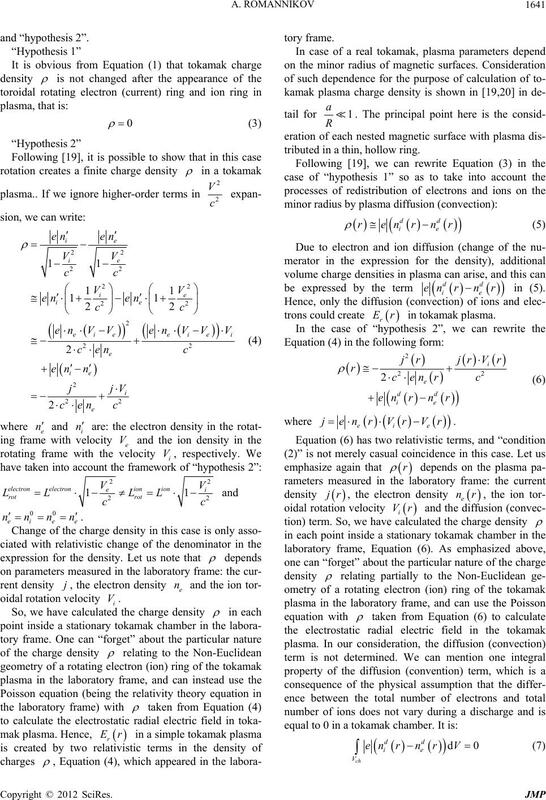 75-79.
erational Limits and Disruptions,” Nuclear Fusion, Vol. 39, No. 12, 1999, pp. 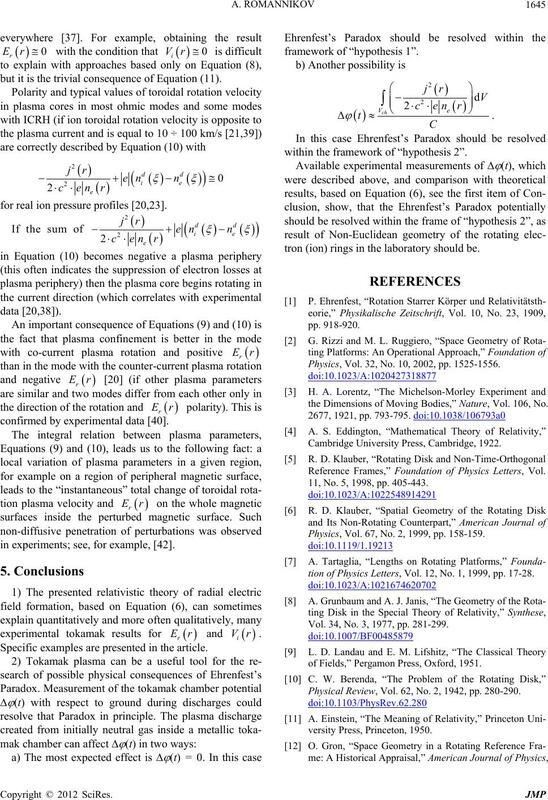 2251-2389.
and Sinks,” Plasma Physics and Controlled Fusion, Vol. 51, No. 12, 2009, pp. 1240471-1240717. 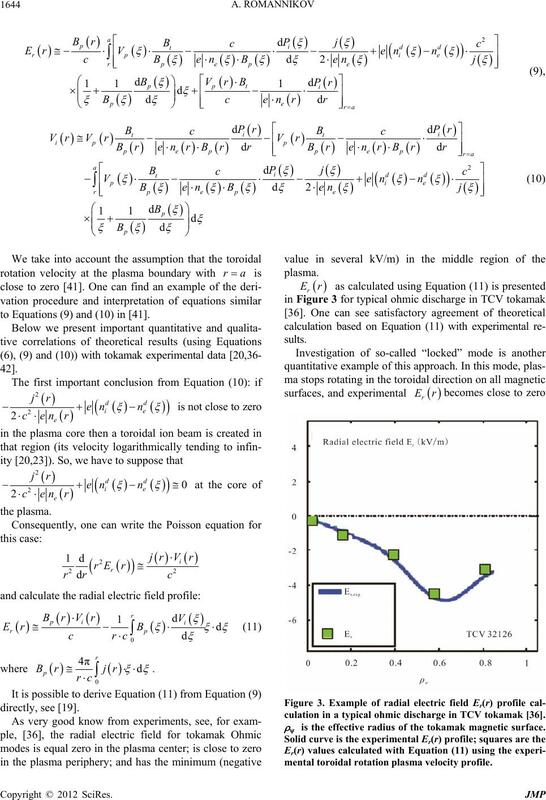 Physics of Plasmas, Vol. 8, No. 1, 2001, pp. 158-166. Controlled Nuclear Fusion Research, Madison, 1971, Vol. clear Fusion, Vol. 13, No. 2, 1973, pp. 221-226. Vol. 37, No. 3, 1997, pp. 403-412. Vol. 2, No. 1, 1995, pp. 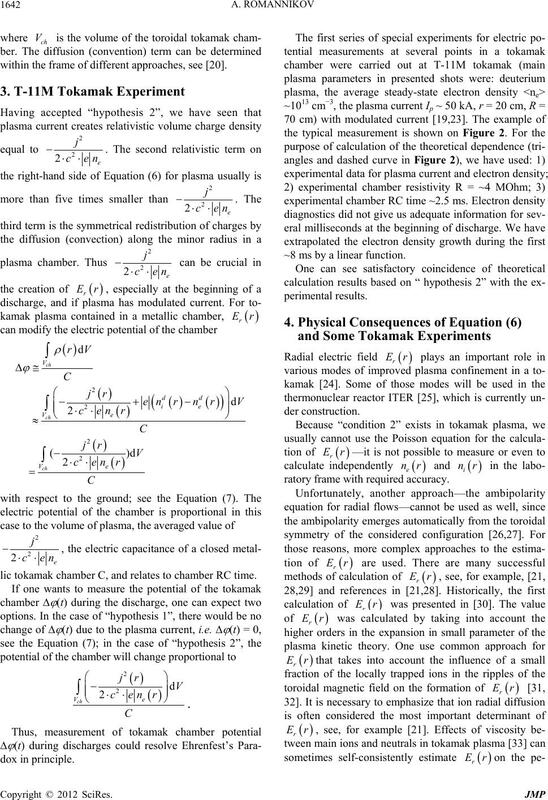 159-166.
sics of Fluids B, Vol. 4, No. 7, 1992, pp. 1877-1888.
trolled Fusion, Vol. 49, No. 12B, 2007, pp. B195-B210. Vol. 41, No. 11, 2001, pp. 1633-1644. No. 5, 2000, pp. 913-922.
and Controlled Fusion, Vol. 49, No.4, 2007, pp. 641-647. No. 9, 2004, pp. 945-953.